The CHAH Cross Country Team finished the 2018-19 season with more runners on the team than any year prior! Several medals were won by our team captain, Gezebel Vargas, and by sophomore runner Noah Pereyra. Multiple runners set personal records at Van Cortland Park’s 5K course, were the athletes ran two or three times a week. Coaches Harris and Dickhudt were impressed by the individual and team commitment this year. Well done, CHAH XC Runners! The CHAH Cross Country Teams wrapped up the season with an impressive five medals earned (Jacob Ramirez, Steven Carbajal, Ailani Cruceta) plus two honorable mention medals for Yeimi Ramirez and Bryan Carrion. Multiple runners set personal records on the challenging Van Cortland Park 5K course. Coaches Svenson and Dickhudt agreed that this was a team to remember. The level of camaraderie, dedication, and positivity exhibited by the runners was a source of pride for the school. 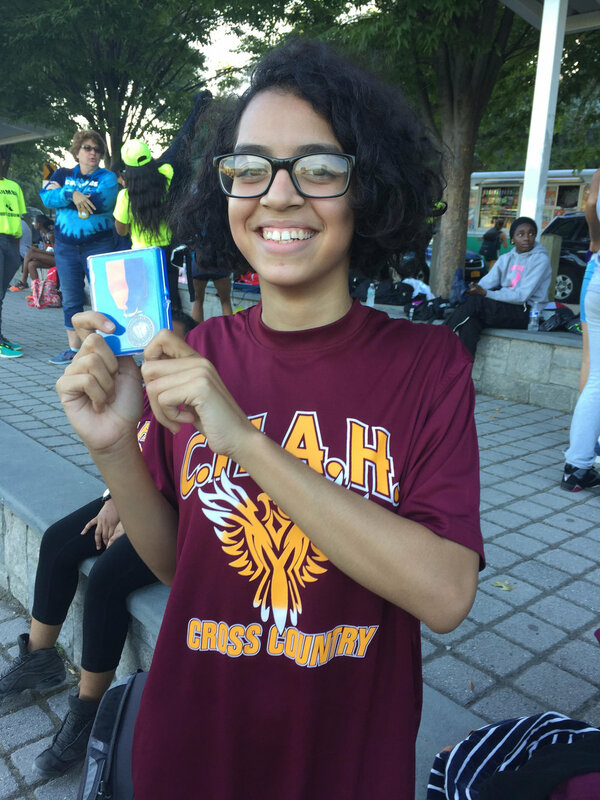 CHAH runners earned medals at this week's Grand Prix races! Senior male runner Steven Carbajal earned his first ever medal. Senior female runner Ailani Cruceta won her second career medal. Congratulations CHAH medal winners! Keep up the good work! This past Sunday, October 2, 2017 the Boy’s and Girl’s Cross Country Team took on other schools from around the city at the annual Mayor’s Cup! The meet was in the afternoon and, with a bright and sunny 75 degrees, the runners were plenty warm at Van Cortland Park in The Bronx. Congratulations to junior Jacob Ramirez, who earned his first ever medal by finishing in the top 20 runners of the meet! The 2017 Mayor’s Cup had a total of 15 CHAH runners, perhaps the largest group ever in the team’s history! 8 boys and 7 girls from CHAH took on the course. All finished! 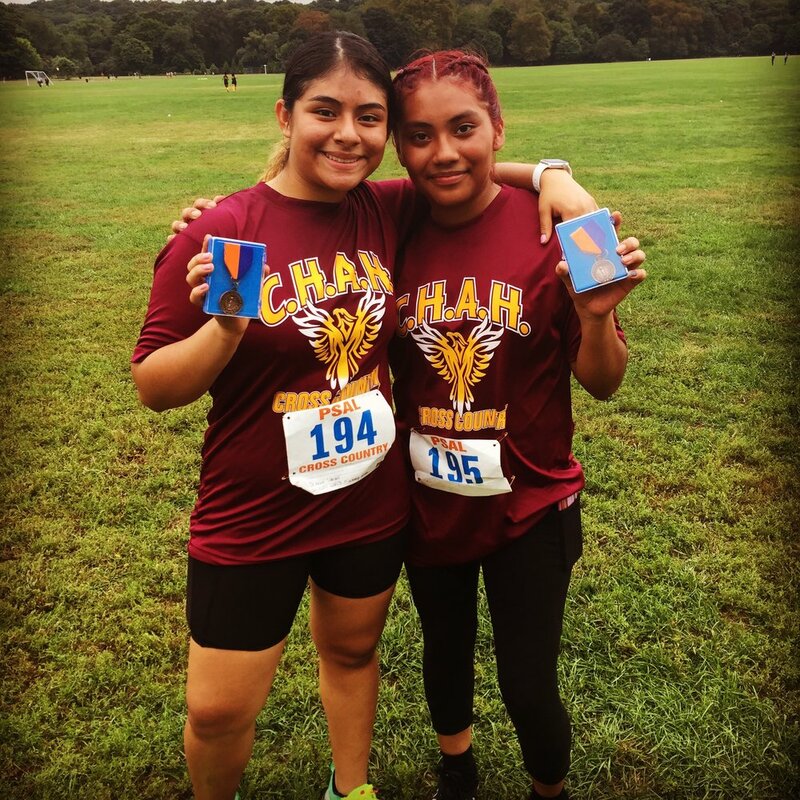 Keep up the good work, CHAH XC!